Today I just happen to do a search for "mobile blog posting software" and ran into ShoZu which does more than mobile blog posting. The new T-Mobile Dash is a pretty awesome phone. No touch screen but a qwerty keyboard. And there is a lot of freeware for window mobile. What ShoZu basically does is give you a platform to easily post pictures, videos and updates to various social networks, blogs and media sharing sites, plus a lot more. 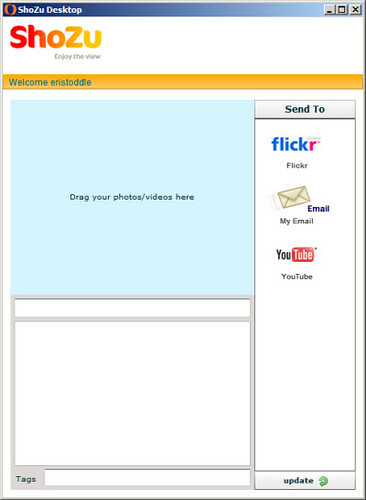 It also has a copycat function which will post your picture or video to multiple sites with one upload. I wrote about it and more in a post about promoting your blog through content. There is also a desktop app for ShoZu. I plan on posting a video of me using ShoZu. It does a lot of stuff. Today was an errand running day. I found it early, installed the program and played with it throughout the day. The videos to come will be better and maybe a bit more planned. I do have two more cameras, but the one on the dash isn't bad for a phone. 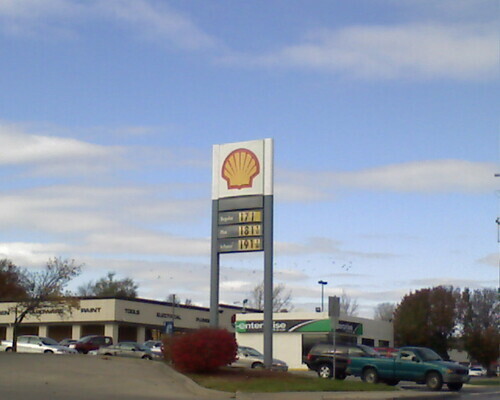 There is also a picture I posted from Flickr of $1.71/gallon gas. And then I went a little picture heavy and content light on this post because I went right from the post I linked to above to writing this post. And hopefully this video on my home page will give me the motivation to write another post tomorrow to hide it deeper in my blog.